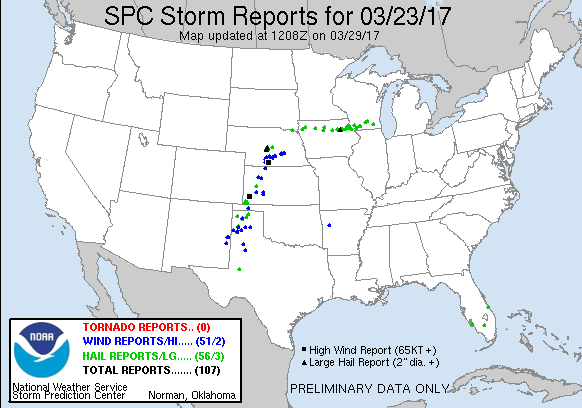 March 23rd was the first local opportunity for a chase since my move to Nebraska last October. The SPC had outlined a slight risk area encompassing the dryline from Texas to Nebraska and a bit along the warm front in Nebraska. 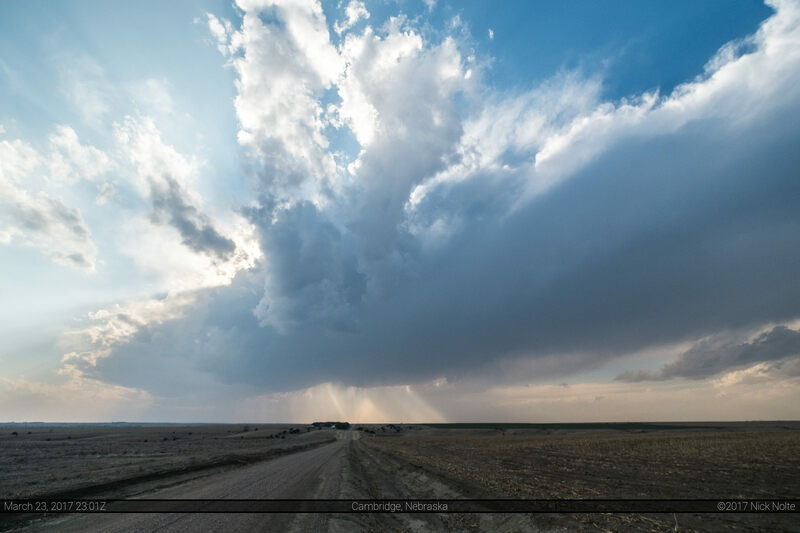 This was accompanied by a 2% tornado risk, so definitely not a guarantee, but it’d been a long time since I chase (June 25, 2016) and I was anxious to just get out. 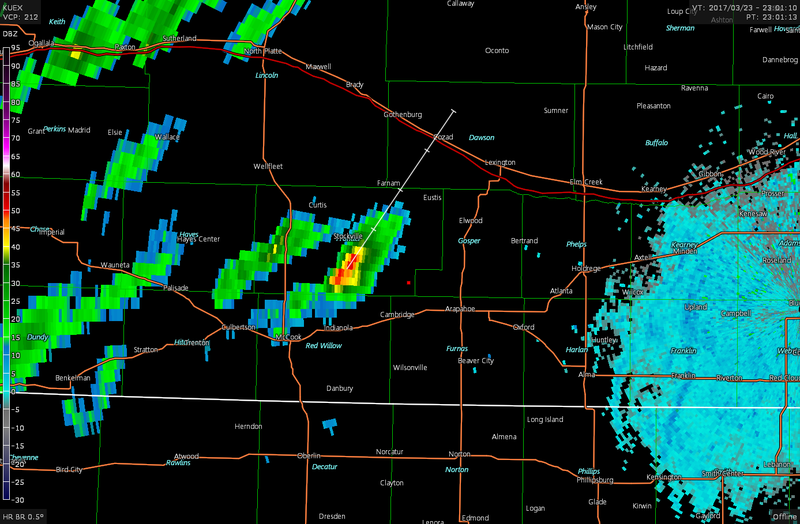 I took the afternoon off work to head out towards my initial target of McCook. I was interested in the warm front where it intersected the nose of the weak surface low. Surface dewpoints were only forecast to be in the mid-50s, but I felt that was enough in Southwestern Nebraska to warrant the drive. I left Grand Island around 1930z and drove west on I-80 to Lexington where I sat to watch data and see what could percolate on the visible satellite. On my way to Lexington, SPC issued a mesoscale discussion for the area shortly before 21z highlighting an area along I-80 where brief tornadoes were possible. 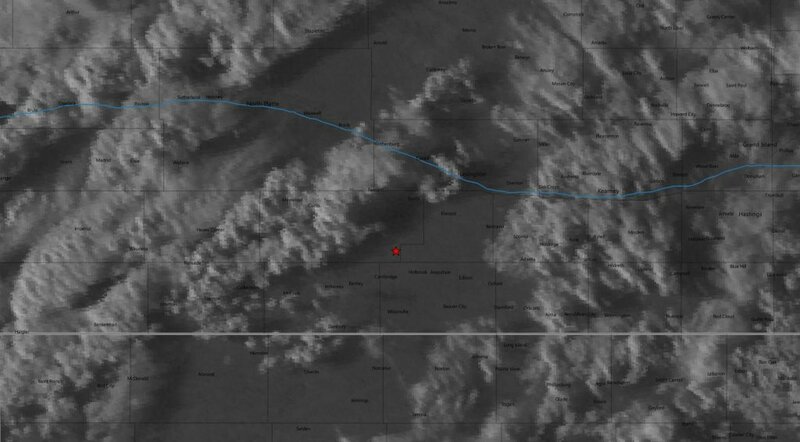 Between 22z and 23z an area of robust cumulus started to develop north of McCook and eventually the first storm would fire from this area. Unfortunately, this is about as good as the storm would look. It would continue on to the northeast for the next hour or so and did drop some golf ball sized hail as it approached Broken Bow before other storms exploded around it after dusk that would congeal into an overnight MCS. With that, my first chase as a Nebraskan was in the books and I made my way back home!